I was a guest on BBC radio’s World Business News (MP3 link here) for what turned out to be a rather mild debate with CAP Action’s Tom Perriello. The segment is about 10 minutes long. Our host asked, “Is this any way to run an economy?” I laughed that the alternative is a philosopher-king. A better answer would have been what we say in the book: No. There are a variety of rule sets to organize a democracy, and the ones predominant in advanced countries are indeed dysfunctional. We can do better, short of dictatorship. I wish I hadn’t been so glib on air, but I find myself defending the basic notion of democracy too often, so it was a reflex. What the U.S. really needs to do is constrain legislators’ capacity to make long-term spending commitments beyond the political consequence horizon. Why do the normal political motivations and institutional mechanisms of our constitutional system not enable a solution to this obvious fiscal imbalance? To grasp the answer, we must begin by recognizing that our politicians are acting rationally. And to illustrate the point, we can look at a famous example from game theory: the prisoners’ dilemma. Originating in the work of RAND Corporation scholars in the 1950s, the prisoners’ dilemma gets its name from a thought experiment involving two suspects arrested and questioned by the police regarding a crime they are accused of having committed together. Lacking much evidence, the police separate the suspects and present both of them with the same offer: If neither suspect confesses, both serve one month in jail. If both suspects confess, they both serve three months in jail. But if one suspect confesses and agrees to testify against his partner while the other does not, the betraying suspect will go free while the betrayed suspect receives the full one-year sentence. What should the prisoners do? At first, it seems irrational for either to confess. After all, if both hold firm, both will serve short sentences. But when one considers all the potential outcomes of their situation, and assumes that each prisoner’s prime concern is reducing his own punishment, it turns out that each prisoner is actually better off confessing and betraying the other — regardless of what the other prisoner chooses to do. American politics today is presented with a similar dilemma. There are two paths toward reducing deficits and debts of the magnitude we face: raising taxes or cutting spending. A balanced compromise would involve some amount of both, but the two political parties face strong electoral incentives to do neither. If Republicans push for reduced spending, they are criticized for taking away the benefits people rely on. If Democrats push for raising taxes, they are decried for swiping workers’ hard-earned dollars. Both solutions are seen as taking money away from voters, and are thus fraught with political peril. Consider the matrix above, in which both Republicans and Democrats in Congress have two policy choices. Republicans always promise lower taxes, so their choice is whether to cut or maintain spending levels. Democrats, in contrast, want to keep spending high, so their choice is whether to raise taxes or keep them low. A close look at the matrix shows that it is politically rational for the Republicans to maintain today’s unsustainable levels of spending when faced with either behavior from Democrats. And, campaign rhetoric aside, that is what they tend to do. Republicans have learned that whenever they actually legislate spending cuts, they are attacked by their opponents and tend to lose elections. They are not keen to do the fiscally responsible thing when the price is giving up power. Likewise, whether Republicans cut or maintain spending, Democrats are politically better off if they allow taxes to stay low. This explains why, despite President Obama’s rhetoric about raising taxes, he and other Democrats have generally refrained from actually doing so, especially at the levels needed to pay for their spending. That the expiration of the Bush tax cuts was postponed until after the 2012 election was not a coincidence. 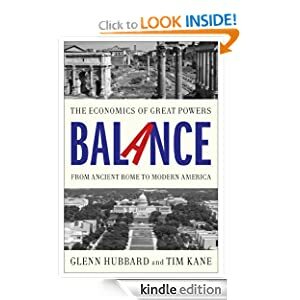 To be sure, politicians in both parties make noises about good economic choices (from their perspectives) that balance the budget, but their actual behavior is what matters. President George W. Bush oversaw the expansion of spending on entitlements, as well as on defense, education, and other discretionary programs. President Obama serially preserved Bush’s tax cuts. Politicians know what is best for the country in the long term, but they have no easy way to change their behavior now during a period of polarization in which the institutions and incentives are set up for imbalance. This amounts to an institutional failure. For most of the nation’s history, the rules of the budget game worked. Today, however, they no longer function. Politically rational behavior is now fiscally perverse. Addressing this institutional failure thus requires changing the rules of game. The only remedy to our political prisoners’ dilemma, therefore, is to change those rules so that they in fact rule out structural fiscal imbalance — by imposing painful penalties on lawmakers for failing to budget responsibly.